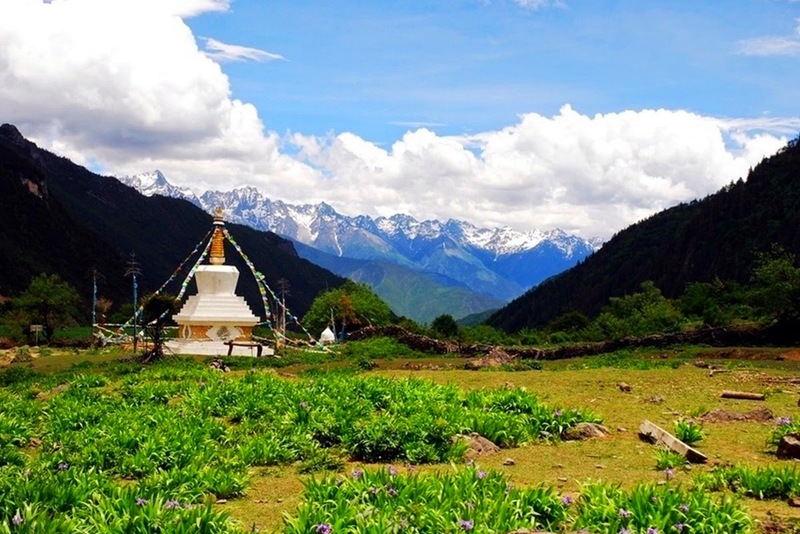 Benzilan is located in north western part of Yunnan province in China. 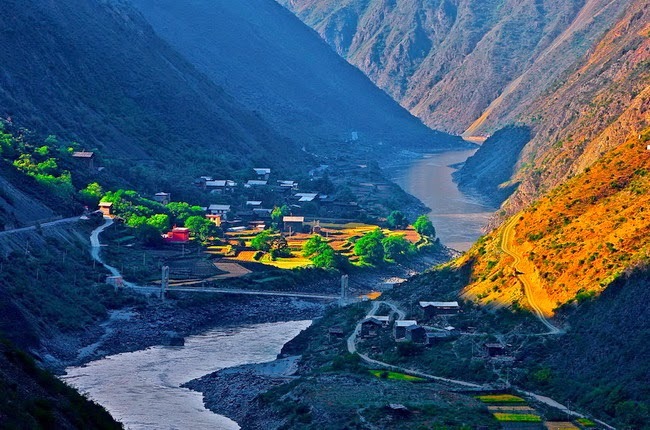 This small town is situated along on the stretch of River Jinsha, a main Yangtze River headwater stream. 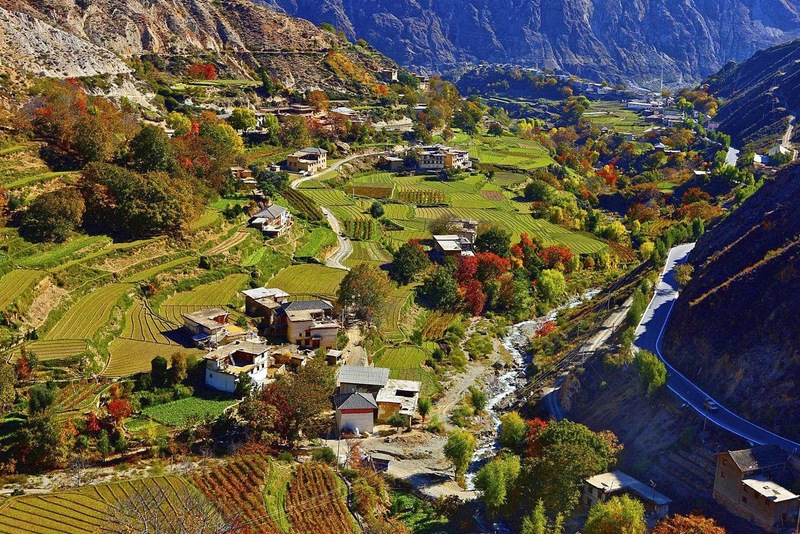 When one simply passes through Benzilan in bus, it may appear just as any other small town in China. But, when one gets off at Benzilan town, a worth feeling can be attained for sure. The term Benzilan has the meaning ‘golden sandbar’ in Tibetan. It has mild climatic conditions and therefore is a fertile place. It is located in Yunnan Tibet road and so is a significant halt on the international route, Ancient Tea Horse Road. These days, it has turned to be a great stop for most travel groups as well as caravans that travel to Baimang Snow Mountain. This town is well known for the beautiful traditional houses, loving locals and handicrafts made by local people. Wooden bowels, Zanba box and more are popular handicrafts. Benzilan Village is a laid back one that offers a good base to see the sights of beautiful Dongzhulin Temple. 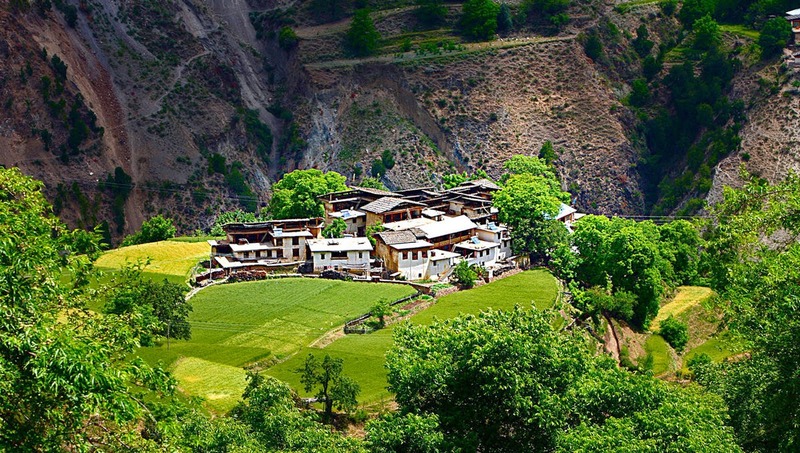 Thousands of travellers visit Benzilan Village every year. The main feature of this place is the large quantity of fresh produce. People proudly show the vegetables and fruits in the market. The market visits are generally a special factor that provides colourful experience to everyone. There will be display of well known Tibetan delicacies and dishes. As per the season, there will be variations in offerings. Everything offered will be completely fresh always. The month of August is known as mushroom season in Benzilan Village. People collect different mushroom varieties from meadows as well as mountains to local market. In Japan, these variety mushrooms are offers premium rate. The cuisine is of Tibetan style, oily as well as hearty. During winter season, additional fat is been added to food stuffs to help in keeping body warm even when it is freezing outside. On Tibetan menu available here, Yak is found common in almost all forms as well as shapes – such as yak chees, yak butter tea, yak steak, yak yogurt, and more. Traditional dishes are offered to customers in every restaurant in Benzilan Village. One can never forget the invitation to residence of a farmer in Tibet. They will offer all traditional dishes made from yak. Generally, the farmhouse found in Benzilan Village has a huge wooden structure. On ground floor, there is space allotted for animals. On second floor, normally the family stays. The loft is mainly for storage purposes. It is common to find people sitting around open fire inside a huge living hall with hanging yak cheese over smoke, huge pots with various compartments, and more. People living here love food and are much concerned about it. These people live in harmony with nature always. One can get in any bus from Zhongdian Town to Deqin, in between they can get down at Benzilan. Tickets are available at twenty four Yuan. In case, if it is minibus, ticket rate will be forty per person. The other tourist spots near Benzilan are great bend of River Jinsha, town, east bamboo forest temple and Gadan Dongzhulin monastery. With unforgettable memories of hospitalities, Benzilan will always remain in your heart! Pack up and plan your trip to enjoy the richness and beauty.